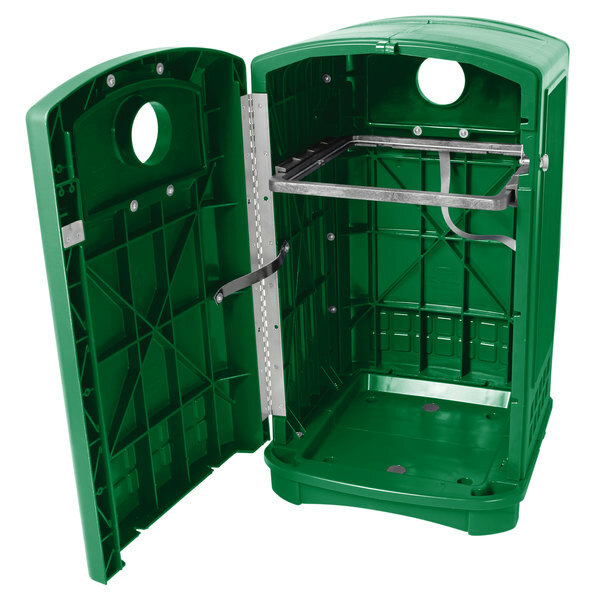 Do you have all of the recycling containers you need for your facility? 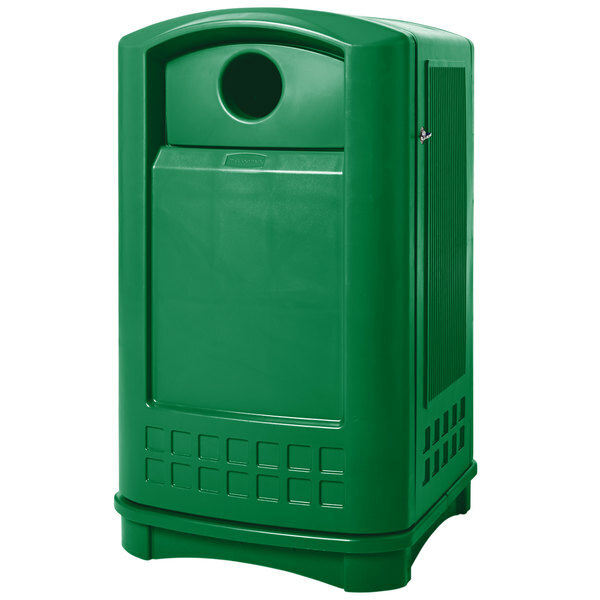 Presenting our family of recycling containers, only from Rubbermaid Commercial. Choose from easy to clean all plastic containers in dozens of shapes and sizes, manufactured to the standards of strength and durability that's become synonymous with the Rubbermaid brand. 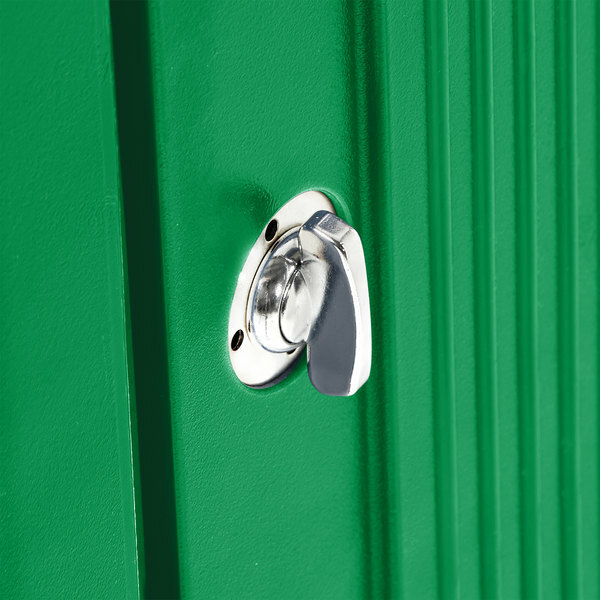 All of our recycling containers exceed EPA guidelines for post-consumer recycled content and come imprinted with the universally understood recycling logo. 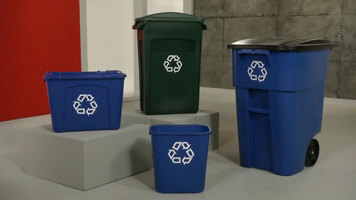 Color coded, the easily recognized blue and green stand out and encourage recycling. From desk side containers to larger slim jim containers that fit next to work stations or vending machines, you'll find that the key to any recycling program is to have containers always within reach. Plus they can also be paired with a wide assortment of lids that can further define their specific collection and sorting. 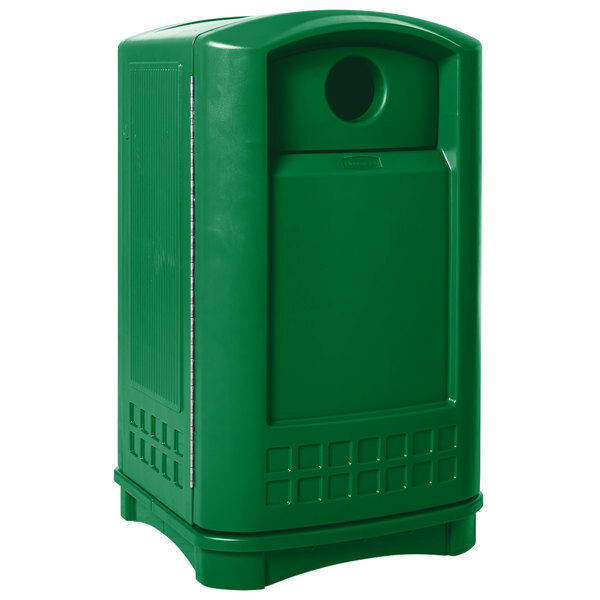 To ensure the success of your recycling program, stock up on recycling containers, only from Rubbermaid Commercial. The key to any recycling program is to always have containers within reach, and Rubbermaid's impressive family of recycling containers give you the durability and flexibility to do just that! 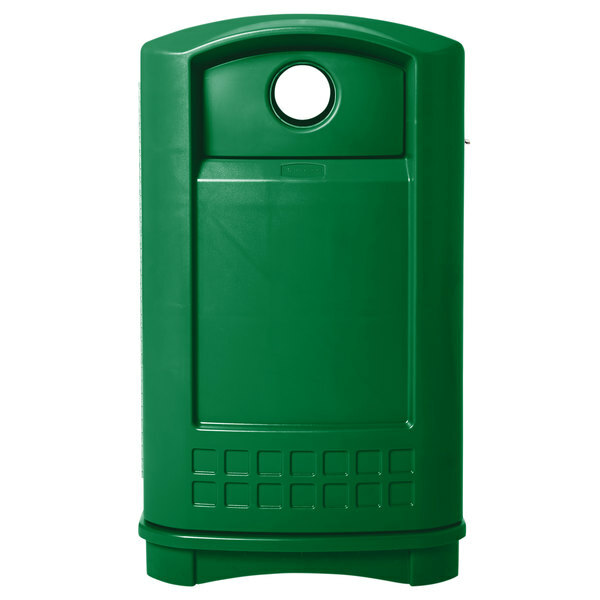 The Rubbermaid FG396800DGRN Plaza 50 gallon green bottle and can recycling container is a large capacity solution for any indoor or outdoor environment! 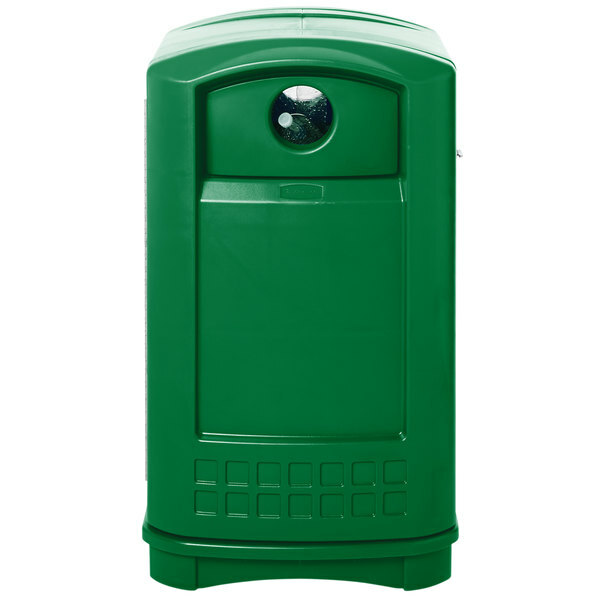 Whether used alone or in conjunction with other Plaza recycling containers, it's ideal for high traffic areas thanks to its large, 50 gallon capacity. Overall dimensions are 24 3/4"W x 25 1/4"D x 42 1/8"H.